An owner watches as judges finish scoring his machine. 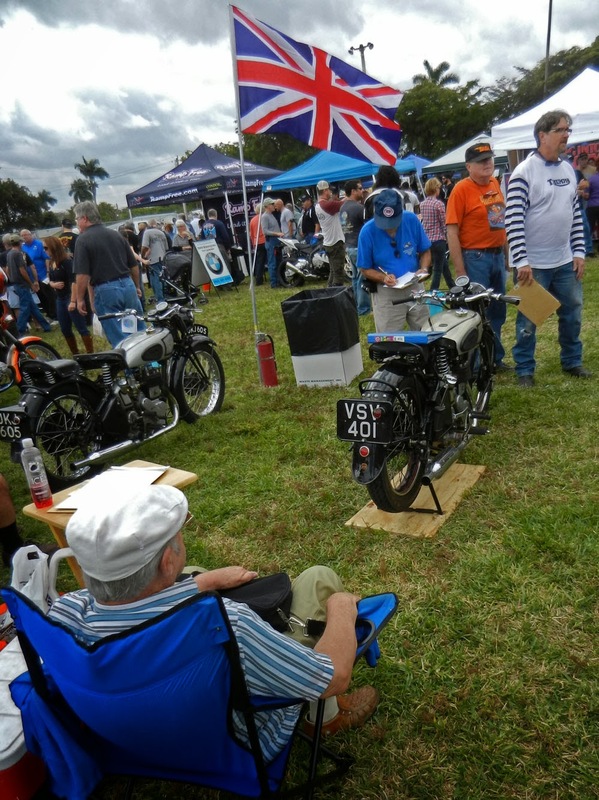 Winners of the 2014 Dania Beach Vintage Motorcycle Show are posted. I'd say everyone who attended was a winner. 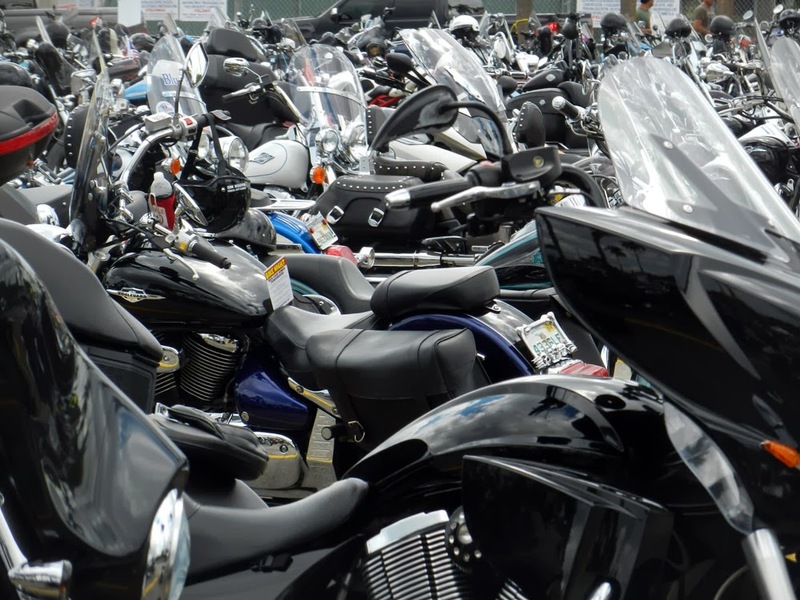 Organizers and those who showed their motorcycles, win or lose, deserve the thanks of those of us who merely did what we had to do to find a parking spot. Which had its moments. Returning to my Royal Enfield I found myself parked in. Luckily a fellow a few spots over was leaving. By heading in his direction I managed to wind my way out of the space I'd chosen. It was at this moment that someone asked me about my Bullet. "How old is that one?" asked a fellow on his way into the parking lot. "1999," I answered, adding quickly "they still make them in India." Finding my Enfield was only marginally easier because it isn't black.